Why does China, with a population nearly 30 times larger than South Korea’s and with a government cultural budget that dwarfs that of its tiny neighbor, have so little comparative cultural influence and global soft power? Why are Korean movies, TV shows and pop music so widely distributed and enjoyed, while China’s equivalents are ignored? 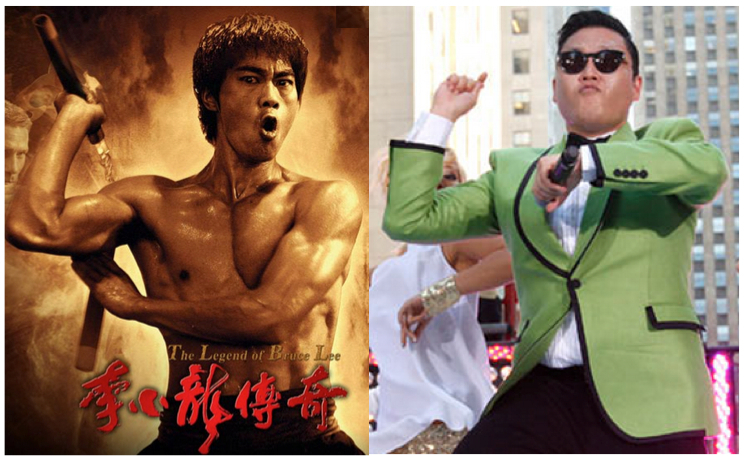 Where is China’s Gangnam Style? For most of its history China was one of the world’s great cultural exporters, deploying its art, ideas, language and political values across a huge cultural sphere that included Japan, Thailand, Vietnam, the Philippines, India, Bangladesh, Malaysia, and other Asian territories. You could say that China was a soft power superpower. Nowhere was China’s influence more profound than in Korea. Although Korea maintained its own distinct language and traditions, its immediate proximity to China and its relatively small population made it a virtual catch pool for the torrent of culture that flowed forth from China over the millennia. When the Korean peninsula was bifurcated by war in the 1950s, North Korea was drawn more tightly into China’s cultural orbit, while the South pulled away. As its economic miracle unfolded and it became an export powerhouse, South Korea drifted culturally toward America and the west. Relations between South Korea and China remained cordial but aloof, and the cultural exchange between the two countries slowed to a trickle. And then, starting in the early 1990s something unexpected began to happen. What had been a predominantly eastward transmission of art and entertainment started to flow the other way, from South Korea to China. Suddenly Korean movies, TV dramas, and pop music became hugely popular in China and beyond. Filmmakers like Kim Ki-duk, Park Chan-wook and Im Kwon-taek were winning major international awards, and K-pop bands like 2NE1, Super Junior and Girls Generation were sweeping Asian radio and music video channels. The trend hit China with such rapidity and force that Chinese journalists dubbed it the “Korean Wave” (한류 or hanryu in Korean). South Korea, a country of less than fifty million people, somehow figured out how to make pop hits for more than a billion and a half other Asians, contributing two billion dollars a year to Korea’s economy… No country is better positioned to sell recorded music in China, a potentially enormous market, should its endemic piracy be stamped out. The Korean Wave’s worldwide cultural influence translated into soft power for South Korea, increasing its voice in the global political arena. Due to the wave, South Korea’s national image improved noticeably from a war-stricken, poor country to a trendy and advanced one. A survey conducted by the Chicago Council on Global Affairs in 2008 found that about 80% of respondents from China, Japan and Vietnam (three of the largest markets for hanryu) look to South Korean culture with high respect. How did this happen? What lessons can China learn from the Koreans? We’ll explore these questions in Part 2. This entry was posted in Opinion and tagged 2NE1, Economist, Gangnam Style, Girls Generation, hanryu, Im Kwon Taek, 한류, Kim Ki-duk, New Yorker, Park Chan-wook, South Korea, Super Junior by chinafilmbiz. Bookmark the permalink. Yes, if they do not accept me to fight…. How can this be a championship? I do think it would be very helpful to look at the world of Hong Kong cinema as an internationally-significant cultural export. Hong Kong doesn’t by itself represent everything Chinese–it’s a very specific world formed by the mixture of south Chinese culture, British culture, and international finance among other things–but it certainly produced a very unique cultural landscape at one point. Granted, the heyday was a while ago–i.e. the 70s and 80s and perhaps the early 90s–but the Shaw brothers and Golden Harvest action flicks–both period (i.e. Wuxia) and modern (mostly Triad/mob/gangster)–were pretty important. They’ve influenced everything from Tarantino to The Matrix. Even the sunset era (late 90s and early noughts) had some significant pieces by Wong Kar Wai as well as continuations of earlier traditions like Infernal Affairs. It’s a more subtle sort of influence, but a distinct and important one. Part of the problem is that there really isn’t much pure HK cinema anymore. More and more studios are, want to (and need to) collaborate with China partners/studios for funding. So now you have these big collaborative set pieces–(in every sense of the word collaborative…from financing to casting)–that lack any sense of personality. They do CG, but not as well as Hollywood. They have Korean or Japanese actors doing cameos…these are really pan-East Asian productions more than anything else…but it doesn’t feel Korean, or Japanese, or like Hong Kong, or China. They think that by having a token member (i.e. local celebrity) in the cast representing every potential market, the film will do better in said market. But that’s not how audiences behave. They don’t go for the token actor. They want a good story. Witness how well You’re The Apple of My Eye did in the box offices last year? A movie with VERY Taiwanese flavors. My dad’s Taiwanese, so lots of the little details resonated with me. But it did well in Hong Kong and in China. Why? The audience didn’t care about not getting all the little Easter eggs, because the movie was genuine, had personality, and had a great story. The worst thing is to be anonymous, and for me at least, most of the movies out of China are anonymous or tired. Eric, yes, Hong Kong had an extremely vibrant entertainment culture, and Hong Kong producers are the key drivers of China’s current movie industry, such as it is. But I see Hong Kong’s industry as completely separate and distinct from China’s, for the very reasons you yourself lay out. Whenever you have politicians and civil servants calling the shots, making the rules, giving the orders to creative people you end up with a product that has limited appeal. An enlightened and benign dictatorship can work better than Democracy at times, particularly in productivity but not in creative fields which need total freedom. Many smaller countries in which government subsidies prop up their film industry such as Canada can never achieve hit films because the producers begin to think in restricted ways. The greater the distance between government and a film industry, the more independent the industry, the greater the chance of it producing films that have universal appeal. I have a wonderful story about a Chinese youngster in the 1800s which I am developing as an animation feature and I thought of seeking a Chinese co-producer. After learning of the process in the PRC, however, I ruled that out completely. I’ll seek co-producers in Korea or Singapore or Taiwan but I won’t partner with any government and particularly not with a totalitarian one. A.T., you’ve hit the nail on the head: government meddling is the biggest factor behind China’s struggle to build a globally relevant culture industry. But if you’re expecting to find Korea, Singapore or Taiwan to be free of government intervention you’re going to be sorely disappointed. In all three countries government institutions are heavily involved in the film industries. And, in my opinion, in all three countries government support has been a good thing. Korea’s modern culture industry wouldn’t exist without enlightened government coordination and leadership. As for Canada, I don’t know why you’re down on their subsidies but they’ve helped to fund many brilliant films–The Sweet Hereafter, Exotica, Highway 61, Away From Her, The Red Violin, Dear Zachary… I could go on and on. The same is true in many smaller countries. The Chinese government uses the SARFT to facilitate the stability of the country which translates to continued growth in other industries. In the past decade, the number of Chinese Global 500 companies grew by 50 while the US shrunk by that many. Not to say that a vibrant Film and TV industry is unimportant to the Chinese, but clearly, their leadership is currently focused on national power at the expense of global soft power. I think that it has a lot to do with South Korea’s democratization. Hollywood played a role too because Korean “chaebols” finally realized that their manufactured goods, for example, Hyundai cars, couldn’t compete with Hollywood films in terms of profits and revenue. The country saw the huge market potential for cultural products and shifted its gears.